This concert marks the much-anticipated return of Albion, the Sheffield-born choral group whose reputation for unique and compelling performance spread far and wide. 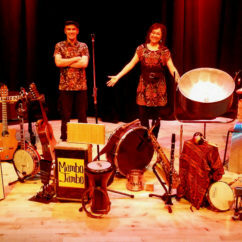 Their programme for this special occasion offers old favourites and new surprises, drawing on a millennium of musical influences and ranging from folksongs and shanties to hymns and devotions. 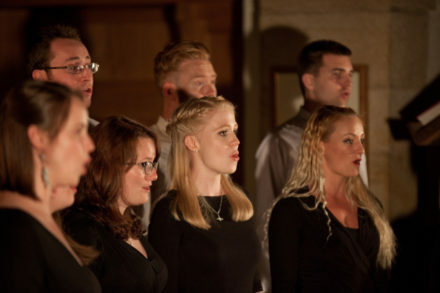 Highlights will include Jerusalem, The Skye Boat Song, Greensleeves, and a number of items devised especially for this evening by composer Fraser Wilson and the group’s unique collective creative process. All of Albion’s performances in recent years have been complete sell-outs, and as always with the group, this event will be a moving, uplifting, and thoroughly beautiful experience of the best of choral music-making. 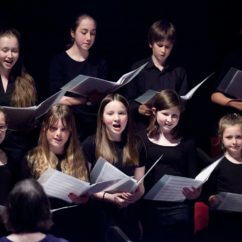 Albion are delighted to be sharing the programme with this year’s Sheffield Music Hub award winners in what will be a celebration of joyful and vibrant youthful musicianship. Follow this link for details of how to book Festival tickets.